The primary issue I had with the first Dark Souls artbook is that there could be more art. I'm glad to say that this artbook has 238 pages, that's 110 more than the earlier book. Together with the hardcover, the book's pretty thick. Part of the reason may be because they have included art from the DLC The Lost Crowns too. There are plenty of art drawn in the Dark Souls moody and broody style. The concept art are for the characters, creatures, bosses, environments and props, like weapons. I love the look of the knights and armour. The designs really reflect how dangerous the world is in Dark Souls, where you can die anytime, and the designs of the protective armour shows. The other characters are fantastic too, mostly because of the mysterious vibe they are giving off. Creature designs are nice, the macabre type that you normally associate with the underworld. If you've played the game, you'll know that some of those bosses are so frightening and hard to kill, and looking at them now in the book may remind you of the chill and fear when fighting them. All the artworks are properly laid out with captions. There's also a lengthy 10-page interview with the director and artists. 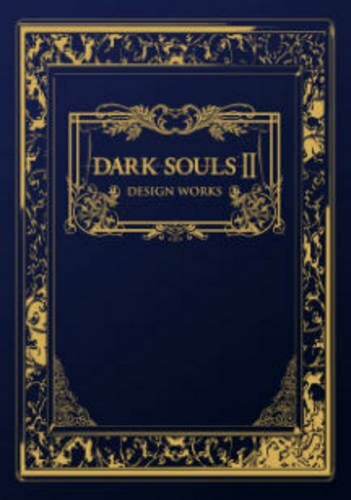 In addition to the art, there are some pictures of the 2m high Faraam Knight statue, close up of the limited edition miniature weapons set and some info on the Dark Souls cafe. The last few pages feature promotional art for the game, and illustrations for the various character classes and weapons, and the map of the land. After going through the book, I'm much more satisfied, especially with the amount of content included. The book now feels more substantial. Highly recommended to fans of the game.